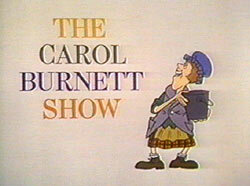 Posted on October 3, 2012 by The Flat Girl	in Journal and tagged Affect, Carol Burnett Show, daughter, Feelings, Interpersonal relationship, Mother, Mother Goose, relationship. While exploring my past and how my personality developed over the years, I would be remiss if I were to ignore my relationship with my mother and how it affected my adult relationships. As a child you never think about whether or not you are hugged, kissed or told that you are loved, because, truthfully, you don’t know what you don’t know. I would never have known that in other houses when children went to bed there were bedtime stories being read nightly as children were being snuggled under their covers, kisses on their forehead, and whispered “I love you” as little ones were being tucked in for the night. I didn’t know that children freely hugged and kissed back, saying “I love you, mommy” or “I love you, daddy” as they sat on their parents laps watching The Carol Burnett Show or some other family friendly show of the time. I did, however, know how to dial 911 or the operator, depending on where we lived. I knew how to keep my mouth shut during the tensest of family fights… until I became a teenager and couldn’t hold back. I learned that no matter how well I did in school that it would not be noticed, but it was better to fly under the radar than to be noticed. My favorite “baby doll” was Mother Goose, so not even really a baby at all. I also had an imaginary friend, he was a giant purple monster named Delbert. I truly loved him, he lived in a mine. He ate billboards on occasion, and when my family moved from Arizona to Wyoming, he chose to stay in Arizona where his mine was located. I was heartbroken. I couldn’t make him come with me. I was five. Throughout all of my years (at least the ones I can remember, besides infancy), as a child, teenager, and adult… my relationship with my mother has not changed. It has been cold, standoffish, and one of almost mutual dislike. At times, I have looked for her approval, of course that was years ago, I no longer seek her acceptance or approval. While my mother had different relationships with my sisters and brother, I do not recall being told “I love you” or being hugged or touched (except being hit) once as a child. Certainly, the fact that I was not nurtured had an effect on the fact that I grew up to be known as somebody who has no affect. ← How Did I Become the Flat Girl? I was talking the other day about difficulties we had faced in childhood and the impact that had on us as adults. We came to the conclusion that as people grow into adults, they either fall into the same patterns as their parents (learned behaviour) or they make a conscious choice, a decision, to try very hard to overcome those things and to be something very different from the examples that were set to them. I suspect you are in this latter category flat girl. Thank you for recognizing that in me… I have been working my entire adult life (and a lot of my youth) to distinguish myself from my parents. I often wonder if I am any “better”, but I know that I am different. Wow, I so “GET” your heart. though so much about my childhood was good and right, so much equally was off just enough to cause me to have succumbed to thereapy in this later stage of the game. A lot of things I never looked at seem so blatantly obvious. Thank you for sharing. I promised myself that I wouldn’t “follow” anymore blogs!!!! Cuzzz I really do like to actually follow bbut my time seems to be spent more on reading them that acutally writing which is what I am supposed to be doing but you my dear, take the cake! I can’t NOT follow you!!!! Thank you so much… I appreciate you visiting and taking the time to actually read. I have been in therapy for years, and am now trying “this” as therapy. It is quite cathartic to put pen to paper (or rather, fingers to keyboard). I appreciate your comments. Two huge things you mention here. One is the stark contrast between some people who are tucked in and read stories and hugged and told they are loved; and other people who know how to call in an emergency, presumably if things get too violent at home. That was so powerful and so sad. Gripping and tragic. I’m near tears. The weirdness comes in when your imaginary friend Delbert would not move from Arizona to Wyoming. I want to glean special meaning from that but I can’t . . . . Got it. You did not want to move so Delbert was your refusal to move. You were powerless but Delbert could act, he was the will you could not act on. I can’t guess any better than that. Sleep well and know that your online family loves you. We collectively tuck you in and tell you stories regularly from our own sites. Isn’t it lovely to choose a family? We choose you and wouldn’t trade you for anything or anyone else in the whole world. When you move soon we are all moving with you. I hope your business trip goes well. One day and I miss having a new post from you already. Your words, my new friend, my new friends. I wanted to write, but my trip was exhilarating and exhausting. I am back, I lived through each of the four plane rides… in a way… oh, the screaming children on my last flight. I still have a headache! Thank you for being so kind to me; thank you for trying to understand me. Delbert was so special to me, it is funny, there was a roadside advertisement when I was a child, it was old and dilapidated with a big chunk taken out of the side and I always said that Delbert had eaten that chunk of it. Now, even as an adult almost 40 years later, whenever I see one like that on the side of the road, I still always think of him.